Pink Shirt Day is Coming! Every year, MDJH holds an anti-bullying day where we encourage students to wear pink shirts to show their support. This year, we are selling Pink Shirt Day shirts for a cost of $6.00 each. If you wish to order one, please send in your $6.00 and the size to your homeroom teacher. 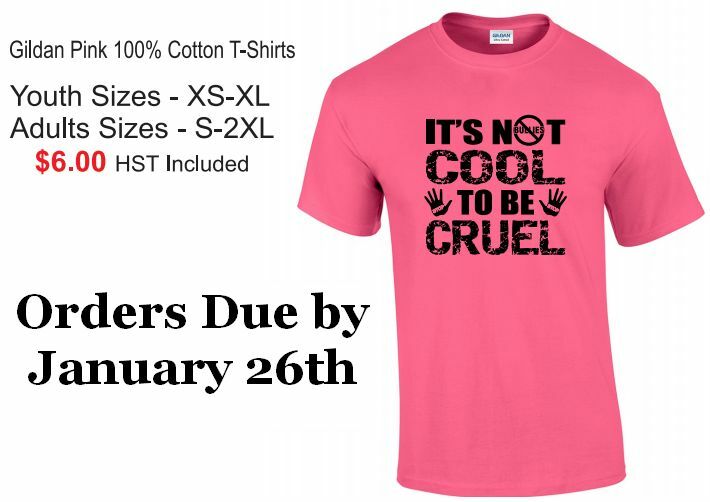 All orders must be received by Thursday, January 26th. Please note that if you already own a pink shirt, you don’t need to order a new one. Wear what you have!